One only need picture the typical American corporate boss (white, male, and wealthy) in order to conjure up the history of discrimination and inequality within the business realm. Over the past few decades, business leaders have attempted to address these problems through efforts oriented at increasing diversity. For instance, in 2014, major tech companies including Google, Apple, Twitter, and Facebook released their diversity statistics in reports to the media under pressure from journalists and activists. While the reports revealed the overwhelming white masculinity of the modern corporation, the companies still framed their statistics as reflecting their commitment to diversity. The release of these reports garnered media speculation about the causes of this lack of racial and gender diversity and the implications for the future of race and gender inequalities. Alongside news publications such as the New York Times and Washington Post, articles in business media outlets such as Forbes, Businessweek, and The Wall Street Journal also weighed in on “Silicon Valley’s Diversity Problem” as these elements of the 4th estate have long discussed diversity initiatives in the business world. Despite the active discussion on the wide spectrum of abstract issues around diversity, business media outlets generally present business diversity in highly specific terms. Activists and scholars might argue that diversity—especially along the lines of race, gender, and sexuality in the business sphere—matters due to concerns about macroeconomic stability, ethical fairness, and/or social justice. However, articles published in business media outlets often discuss the merits of business diversity efforts solely in terms of the “business case” for diversity. The “business case” for diversity argues that diversity is not simply desirable as a social or moral good but because it benefits individual firms. Thus, the readers of these publications routinely encounter arguments in news stories contending that diversity matters because it drives innovation, helps satisfy progressive-leaning shareholders, or opens up untapped consumer markets or talent pools. It comes as no surprise then that recent business media discussions about the lack of corporate diversity in the tech industry generally centered less on issues like discrimination and inequality than concerns that the “diversity problem” might hurt the bottom lines of the companies involved. While many issues of diversity within organizations and corporations themselves are fairly well researched, less attention has been paid to how the business media creates narratives around diversity issues. As business practitioners consume business media, these narratives have a major influence on business practices such as hiring and management. In our chapter in a forthcoming book entitled Underneath the Thin Veneer: Critical Diversity, Multiculturalism, and Inclusion in the Workplace, we analyze the diversity narratives in 275 business media articles to understand how a relatively unidimensional perspective is perpetuated and legitimated given corporate diversity’s highly complex and intersecting nature with social issues. Here, we highlight some core findings of the study. Many of the articles published by business media outlets focused on the particular function of diversity within the logic of the business and the competitive world of market capitalism. For instance, by appealing to diversity, firms are said to be able to enhance their survival in an increasingly competitive market. For instance, the majority of calls for women’s inclusion in the boardroom had nothing to do with gender equality, but rather that diversity allows businesses to increase profits, growth, or stock value through the image or business practices provided by women. Business media often advocated corporate uses of diversity not only to promote profit, but to affect an overall expansion in the market into unreached demographics. “Building brand loyalty” is another approach toward diversity in order to portray businesses as supportive of groups such as the LGBTQ community, people of color, or women. Business media narratives also described diversity initiatives as tools for corporations to designate certain employees as cultural ambassadors based on their ethnicity or nationality as a means for the ultimate end of transnational expansion. Business media outlets also suggested that diversity initiatives benefit firms through providing new perspectives. 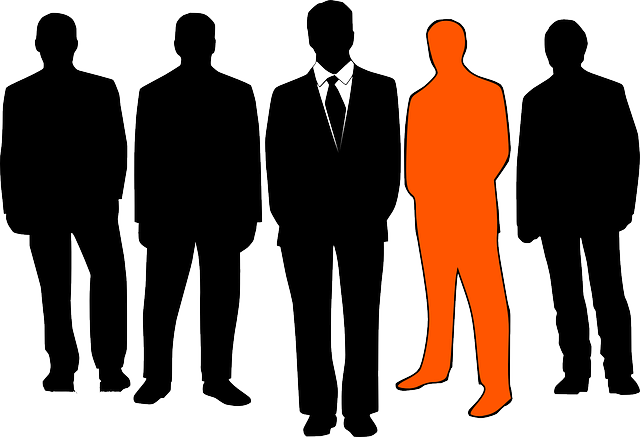 The idea that a diversity of social group members, particularly with regard to gender, provides the benefit of offsetting the essentialized and potentially negative business practices of straight white males, served as a common interpretation for business media to rationalize diversity. This narrative calls upon the use of diverse perspectives but hinges on the assumption that essentialized traits and characteristics within different groups can be tapped into and capitalized on. Along with focuses on changes in consumer markets and economics, business media also presents diversity initiatives as a way of attracting and retaining workers of diverse backgrounds in response to labor market changes. Business media outlets also presented not only the functions of diversity but also justifications for diversity initiatives such as pressure from activists and regulators and the avoidance of legal action. In many of the narratives about activist pressure, as activists articulate diversity as a social justice issue, the business media focused on the economic risks of boycotts, protesting, and other political action from consumers, politicians, and influential group members as causing a negative image resulting in lost revenue among diverse and socially conscious consumers. Narratives that argue for diversity as a social problem linked to inequality and injustice was generally relegated to quotations from particular actors. In fact, quotes often appear around headline content that suggests that lack of diversity is an issue of discrimination and injustice. The potential for losing investors or facing sanctions from state regulators, presents yet another economically grounded justification for diversity. In regards to discussions of the legal issues related to diversity and inclusion, rather than focusing on the injustice or negative experience of those who are discriminated against or victims of harassment or poor treatment in the workplace, business media focused on how such lawsuits harm their profit margins or hurt their image in the eyes of consumers. Taken together, these findings have two immediate implications. First, because businesses themselves are only interested in reaping the economic rewards of diversity initiatives, social movements need to push for real inclusion and economic equality for marginalized groups in the business world. Second, trends such as media consolidation and the dearth of critical narratives around the business case for diversity suggests a need for social group diversification in business media ownership and production that can open up further space for discussions addressing corporate diversity and inclusion as a social problem rather than an economic imperative. Michael L. Rosino, M.A., is a doctoral student in Sociology at the University of Connecticut. His research focuses on the role of politics, mass media representations, and digital media communication in the reproduction and contestation of racial inequality. Devon R. Goss, M.S., M.A., is a doctoral student in Sociology at the University of Connecticut. Her research examines (1) the color line, particularly in relation to instances of boundary crossing in typically racialized institutions; and (2) the impact of racialization in family formation and processes, through an examination of transracial adoption. Dr. Matthew W. Hughey is Associate Professor of Sociology at the University of Connecticut. His research examines the relationship between racial meanings and the prevailing structures of racism and racial inequality.